I have devoted quiet a bit of coverage recently to exceptionally cheap Qatar Airways flights to Asia from Europe, often sub £800. There is nothing available at the moment, however. 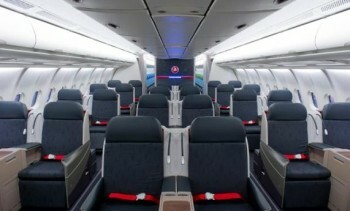 Turkish Airlines has stepped into the breach! For trips completed by December 15th, for departures from Copenhagen, Stockholm or Oslo, you can fly to Bangkok in business class for as little as £750 return. Turkish Airlines is working hard at the moment to keep up with the Middle East ‘big three’. Their lounges in Istanbul are meant to be excellent and I have heard good things about their onboard service. Turkish is a member of Star Alliance so you would earn miles in Miles & More, MileagePlus or a similar programme. Note that the first leg may be on a short-haul plane, albeit that it is only a three hour flight. You should also check which planes are used on the long-haul leg and exactly what business class seating you should expect. In my price tests, Stockholm to Bangkok was coming up as £758. Copenhagen was £897 and Oslo £822. The best thing to do is have a play around on the Turkish Airlines website here and see what comes up. These fares are meant to be available for booking until June 21st. Thanks to @SaveECRewards, I am pleased to say that Virgin East Coast is now allowing you to redeem your remaining East Coast Rewards points for Virgin Flying Club miles. As I wrote recently, I recently redeemed most of my points for two First Class train tickets but had 36 points left over. I was faced with redeeming these for (36 x 6 =) 216 Nectar points, worth £1.08. I can now transfer them to Virgin Flying Club where I can hopefully get double the value. Obviously in my case the extra value is minimal! If you have larger balances – or, more relevantly, don’t want a Nectar account – Virgin Flying Club now offers a decent alternative to empty out your balance. 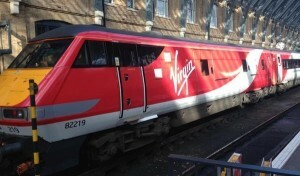 More details are on the Virgin East Coast website here. It’s back – 12,000 Avios with a subscription to The Economist! Just a few weeks after running an offer for 8,000 Avios, Iberia Plus is offering 12,000 Avios for a new subscription to The Economist. You CANNOT now cancel a subscription to The Economist for a partial refund. This makes the offer less good but still not unattractive. It will cost you £155 for a years subscription which earns you 12,000 Avios points. If you have the slightest interest in The Economist then this is well worth a look. Plan B is to order a copy to a random hotel or library in a country with cheaper subscription rates! This is no longer as good a deal as it was, since countries such as Thailand now only come with 8,000 bonus Avios points. Full details can be found on the Iberia website here. You will need to give an Iberia Plus number when you subscribe. Once your account has been open for 90 days, you will be able to transfer the Avios across to a BA or avios.com account via ‘Combine My Avios’ online. The subscription deadline is June 30th. Be careful with crediting TK flights to M&M. Just as fast as TK tries to ape the ME3, LH tries to deter people from flying TK by creating the bizarre situation where award miles depend on booking class, but *status* miles are a fixed 25% of distance flown. So no cheap M&M status miles from TK flying.